John Bakker chairs the Municipal and Special District Law and California Public Records Act Practice Groups, overseeing the work of Meyers Nave attorneys who serve as City Attorney for municipalities of all sizes and General Counsel for Special Districts of all types throughout the state. John is an experienced and knowledgeable advisor on the full range of public law issues. His areas of focus include government finance (Propositions 13, 62, and 218), Political Reform Act compliance (lobbying, conflicts, campaign finance), elections (initiative and referendum), Cortese-Knox-Hertzberg Local Government Reorganization Act (annexations, incorporations, and reorganizations), California Public Records Act, telecommunications, land use, energy and public utilities. 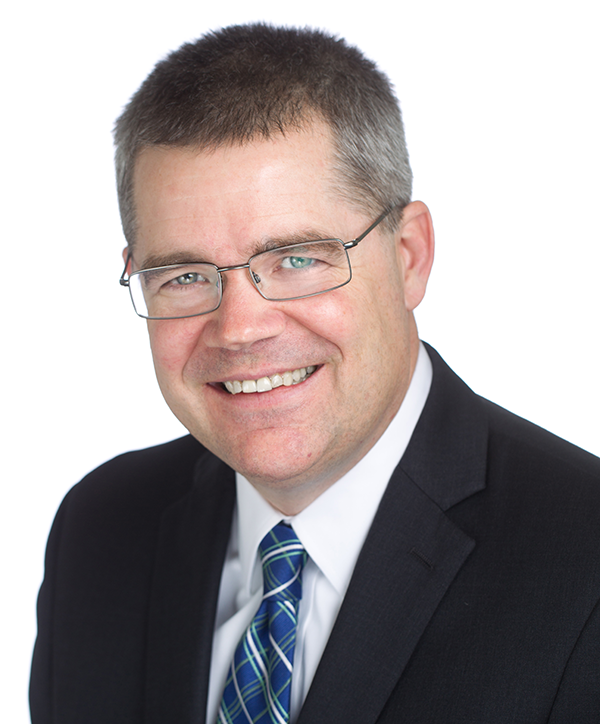 Since joining the firm in 2001, John has advised municipal clients on these and other public law issues and advised clients on the procedures for incorporating new cities. John currently serves as City Attorney for the City of Dublin, and General Counsel for the Bayshore Sanitary District, Kensington Fire Protection District, Napa Sanitation District and Tamalpais Community Services District. Many of the firm’s clients rely on John’s knowledge of funding issues related to utility and other public infrastructure projects. He has advised clients on development impact fees; the adoption and increase of water, sewer, stormwater and solid waste service charges; and water and sewer connection and capacity charges. In advising cities on comprehensive updates to their development impact fee programs, John reviews supporting documentation, ensures compliance with the Mitigation Fee Act and constitutional requirements, and prepares necessary legislation. He has also advised several cities in disputes with developers over the application of impact fees to their projects. John has also served as an expert on Proposition 218 proceedings in a patent infringement lawsuit. In connection with these and related utility and infrastructure matters, John frequently advises clients on compliance with Proposition 13, Proposition 218 and the Mitigation Fee Act. He is a recognized authority on Proposition 218’s provisions regarding property-related fees, having presented on the topic to the League of California Cities City Attorneys Committee and having served on the League’s Ad Hoc Committee on Proposition 218. John currently serves on the League of California Cities Ad Hoc Prop. 26 Committee, a measure which imposes new procedural and substantive requirements on some local fees. John was a contributing editor to the League of California Cities’ “Implementation Guide for Propositions 26 and 218” published in 2017. Served as conflicts counsel to the Del Norte LAFCO in a proceeding initiated by the County to dissolve a water district. In connection with his LAFCO and finance work, John has developed an expertise in other arcane areas of local-government finance. In particular, John has advised many clients in disputes relating to the allocation of property tax revenues to cities, counties, and special districts. For example, John was retained by the League of California Cities to pursue litigation against the State of California challenging a provision of the 2011-2012 State Budget that reallocates vehicle license fee revenue in a manner that the League asserts violates state law. The challenge involved various provisions of the State Constitution (Propositions 22 and 1A) that prohibit state raids on local revenues. John is Chair of the firm’s Energy, Public Power and Telecommunications Practice Group, advising clients on a range of telecommunications and cable television matters. During law school, he interned at the California Public Utilities Commission and worked on various telecommunications matters there, including the implementation of the Telecommunications Act of 1996. He has advised clients on the Act’s provisions which preempt local land use authority over wireless and wireline facilities and ham radio antennas. He has also advised clients on the impact of state law provisions granting telephone corporations a right to use public rights of way for telecommunications facilities. John is advising numerous clients on compliance with the FCC’s 2018 declaratory ruling and order regarding small cell wireless facilities deployment, including issues relating to review and recommendation of applications for the placement of wireless facilities, fees and non-fee requirements, and shot clocks. Represented the League of California Cities in litigation against the State of California asserting that the state budget’s allocation of vehicle license fee revenues violates provisions of the California Constitution added by Proposition 22 and Proposition 1A. Represented Alameda and San Mateo County jurisdictions in the prosecution of a test claim at the State Mandates Commission alleging that obligations contained in stormwater permit issued by Regional Water Quality Control Board are unfunded state mandates. Advised two fire districts opposing consolidation proposals in Contra Costa County. Assisted two separate cities considering taking over the provision of fire service from special districts. Advised the County of San Luis Obispo in a proceeding to establish sewer rates for a new sewer system in the community of Los Osos. Advised the firm’s clients on the impacts of Proposition 26 on their ability to adopt new and increase existing fees and assessments. Advised a California Water District on the various mechanisms available to take over the provision of water service from a failing non-profit mutual water company. Although the transaction was envisioned as a friendly “merger,” the options analyzed included exercising the power of eminent domain, allowing the water company to be dissolved or put into receivership, and structuring an agreement allowing the district to contract with the water company to provide water service to its customers. Advised clients that have been faced with initiative petitions to reduce sewer and water rates pursuant to authorization in Proposition 218. Advised clients in a dispute over the imposition of property tax administration charges on property tax revenues derived from the legislature’s “triple flip” and swap. Advised utility clients on compliance Proposition 218 after the California Supreme Court’s City of Salinas, Shasta Community Services District, and Bighorn decisions dealing with property-related fees under Proposition 218. Advised the City of Salinas on its options for funding its stormwater program following the California Supreme Court’s decision in Howard Jarvis Taxpayers Association v. City of Salinas. Advised a large Central Valley city on a comprehensive update to its development impact fee program. Advised the City of Dublin in conjunction with several annexation applications to LAFCO, including an annexation of over 1,000 acres. Advised the City of Rancho Cordova on the legality of its revenue-neutrality obligations imposed by LAFCO. The City and County eventually settled in a manner that significantly reduced the City’s LAFCO-imposed obligations. Advised the City of Greenfield in a LAFCO proceeding to amend the City’s sphere of influence to include an additional 1,139 acres. Advised the City of Dublin on a proposal to apply condominium conversion ordinance provisions to previously mapped apartment projects. Assisted various cities and counties with the AT&T Project Lightspeed rollout and implementation of the Digital Infrastructure and Video Competition Act of 2006. Drafted a condominium conversion ordinance applicable to a previously mapped apartment project on behalf of a large Southern California. Negotiated a municipal Wi-Fi agreement with AT&T on behalf of the City of Napa. Provided advice to citizens’ groups seeking to incorporate in Castro Valley and in the Carmel Valley. Represented the City of Tracy in a California Energy Commission (CEC) proceeding opposing the development of an electricity-generating peaker plant within the City’s sphere of influence. For Del Norte LAFCO, served as conflicts counsel in a proceeding to dissolve a water district. For a City in San Diego County, worked with a fee consultant to develop a mechanism to fund the completion of an incomplete sidewalk system, based in part on contributions from new development and residential additions. Prepared a comprehensive water conservation ordinance for a large Southern California.